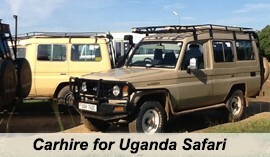 The 9 Days Kenya Wildlife Safari Tour. Kenya Safari trip. Kenya Tour. Safari in Kenya. The 9 Days Kenya Safari Tour is an affordable African safari holiday tour offering the greatest wildlife destinations in Kenya – Amboseli, Laikipia and the Masai Mara. Undertake this African safari in Kenya and explore the remarkable Amboseli National Park known for its huge masses of African elephants and the sightseeing of Mount Kilimanjaro in the background. This Safari also includes a flight transfer from Amboseli to Laikipia, where you can visit Ol Pejeta Conservancy, tucked into the foothills of the Aberdares and the snowcapped Mount Kenya. You have opportunities to explore the African Big Five at Ol Pejeta. Your final destination will be the great Masai Mara game reserve- Africa`s greatest wildlife game reserve and one of the bets in the world famous for the great migration of millions of wildebeests and thousands of Zebras and hundreds of gazelles between July and October every year. Masa Mara also offers remarkable sightseeing of wildlife in the Mara plains. 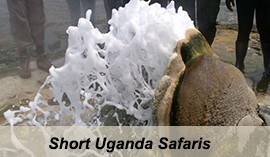 This 9 days Kenya wildlife safari will surely meet your expectations and make your safari experience a lifetime memory. Early morning transfer with a leisurely drive from Nairobi, sightseeing en route to Selenkay private conservancy lining with Amboseli national park. The journey takes about 4 hours of drive. Arrive at the camp for lunch and afternoon relaxation. Relish your afternoon tea and do a Masai guided nature walk in Masai village which is in close proximity. You will be able to know the lifestyle of this fascination tribe and their hospital nature, rich in culture. Wake up early morning to the sounds of the bush and raucous bird calls for breakfast before embarking on a full day safari in Amboseli National Park. Relish the wildlife and you take pictures of big elephant herds while the fascinating mountain Kilimanjaro in the background. Amboseli National Park is a semi-arid park with marshes that are water supplied by the water which drops down from the mountain. The park inhabits a variety of wildlife species such as buffalo, zebra, lions and lots of herds of elephants among others. Relish on picnic lunch from an exclusive area surrounded by the wild game. 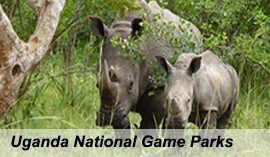 Continue with the game drive in search for more wildlife. In the evening, you will have a leisurely stop for evening tea as you enjoy the brilliant sunset a chilled sundowner. Continue and undertake a night game drive to search for nocturnal animals of Amboseli such as caracals, bat-eared foxes and aardvarks that have been hiding all day. Returning back to the lodge for late dinner and comfortable overnight. Relish a leisurely breakfast before your transferred to the nearby airstrip for a flight to Nairobi at Wilson Airport to catch your connecting flight to Laikipia. You will be welcomed by a professional guide and transfer on a leisure drive to the camp in Ol Pejeta conservancy for lunch. Undertake an afternoon game drive in the conservancy and look out for carnivores that often patrol the area. You will make a stop to watch the sunset as it paints the sky with a myriad of colors. This full day of exploring Ol Pejeta Conservancy includes a visit to the chimpanzee sanctuary. Ol Pejeta Conservancy covers more than 60,000 acres of wilderness and it inhabit an astounding range of wild animals, including elephants, rhino and lions. Alternatively, you can choose to take chances to hear, smell or touch nature as you explore the bush on your guided bush walk. This is a more thrilling experience of tracking animals from their spoors and interpreting the spoors to understand the kind of animal that passed by while you were asleep. Return back to the lodge for dinner before embarking on a night game drive to search for nocturnal animals. 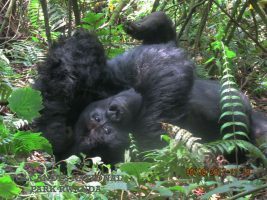 You will depart with an experienced local guide and a spotlight to explore some rare critters like striped polecat, aardwolf, and sometimes leopards. Wake up to the bush sounds raucous bird calls for a game drive or Bush walk after breakfast and after, head to the local airstrip for a flight transfer to the spectacular Masai Mara. A driver guide will be on waiting at the airport in Mara and you will be transferred to the camp on Ol Kinyei conservancy- and open plain featuring riverine forests, bubbling streams, springs and rivers, while you relish the spectacular views of the rolling hills a cross Mara. 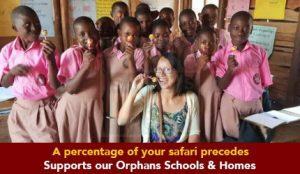 The Masai community set aside this land (Ol Kinyei) to be a wildlife sanctuary and it is owned by the Masai community. Undertake an afternoon game drive in the wildlife sanctuary and the wildlife in the rolling savannahs as to also take some cold sundowners. Relish an early morning breakfast and depart with picnic lunch for a game drive in Masai Mara in expect to explore a variety of African wild game including the African big five namely the leopards, lions, elephants, buffalos and rhino. Enjoy your picnic lunch from an exclusive area and continue with a search for wildlife returning back to the lodge in the late evening for relaxation, dinner and overnight. On you day 7 of the safari in Kenya, explore more of wildlife on a game drive in Masai Mara and you also change the camps in Olare Orok conservancy. An optional morning air balloon safari in the flat plains of the Masai Mara to allow you explore area that are even restricted from game drives can make your safari more rewarding. You will do the same for a more rewarding experience on the eighth day of your 9 days Kenya wildlife safari. Relish a leisurely breakfast before you embark on your final game drive in Masai Mara in search of wildlife. Alternatively, you can opt to do a game walk instead of the game drive on this day and explore the spoors of animals to interprets which animals passed in the night while you were in bed. After lunch, you will transfer to the airstrip for a flight to Nairobi at Wilson International airport to catch up with an evening flight back home. All relevant flight and road transfers as per the itinerary. 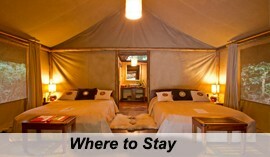 Accommodation for 8 nights in Tented Kenya safari Camps. Full board meals as per the itinerary. Soft drinks and local brand beers, local spirits and house wines. All gave drives s per the itinerary is a shared pop-up company vehicle. Any other not included in the Itinerary.